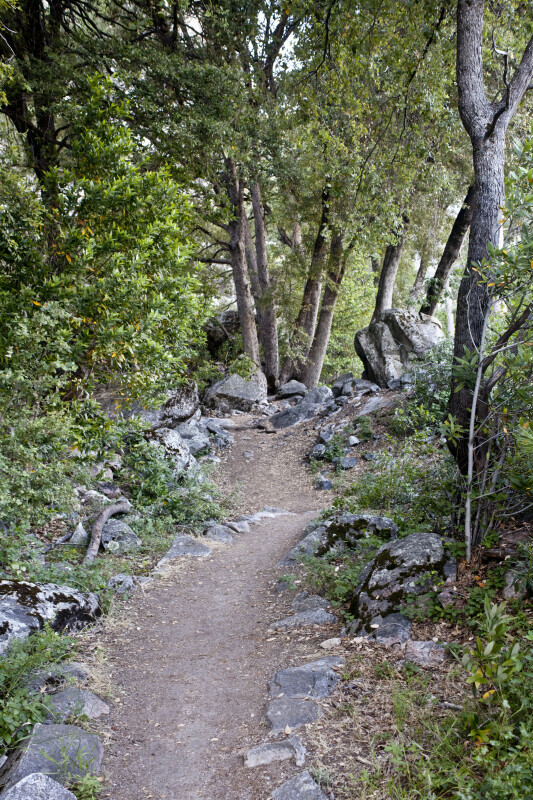 This is a hiking trail, in the Hetch Hetchy Valley. The trail is bordered by large rocks, and trees are growing on both sides. WARNING: You are about to download a 49.2 MB TIFF!